Home » Hitman 2 » PS4 » ps4reviews » Hitman 2 Review - 47's back, but is it for the better? Hitman 2 Review - 47's back, but is it for the better? Agent 47 returns in IO Interactives Hitman 2 - The direct sequel to 2016's episodic Hitman title. Whether you're in it for the thrill, kill or both, does 47's latest outing introduce anything new to the series, or are we in for more of the same? I've been a fan of the Hitman series ever since I first played Hitman 2: Silent Assassin, way back on the PS2. Also, for some clarification, 2018's Hitman 2 isn't a reboot, remake or re-imagining of Hitman 2: Silent Assassin. It's simply the sequel to 2016's Hitman title, featuring the very same Agent 47 we all know and love. This time around however, Hitman 2 is the complete package and no longer sold in episodes. 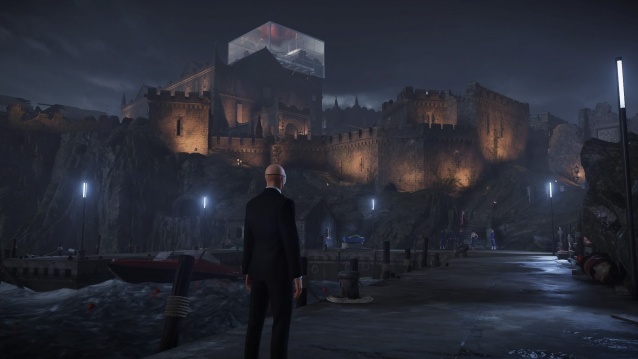 With the exception of 2016's release, Hitman has always been a standalone title and so in a sense, Hitman 2 goes back to its roots and to how I feel every Hitman title should remain to be. Sure, we live in a day and age where DLC is often a large part of a titles lifecycle, but it's not essential to the experience and this is something I feel Hitman 2 embraces. Shifting to the main plot, David Bateson and Jane Perry (Hitman Season 1) once again reprise their roles as Agent 47 and Diana Burnwood respectively, delivering what can only be described as a fantastic performance once more. Perry makes for a far more mature Diana this time around, while Bateson once again flawlessly carries that cold-hearted killer demeanour within his voice, delivering one of the most believable experiences to date. What I wasn't so keen on was the lack of real cutscenes this time around. Perhaps this is due to IO's recent departure from Square-Enix, possibly even due to a lack of funds, but this time around we get what is essentially a set of high end artwork with the occasional camera panning. The outstanding voiceovers serve to keep you engaged, but without it, I feel the experience would be lessened considerably. Then again, we play Hitman for its interesting and creative ways to tackle each target, not for its cutscenes or overarching plot. In total, there are six missions within Hitman 2 and while that may seem short to some, it's the exact same number of missions given in season 1. 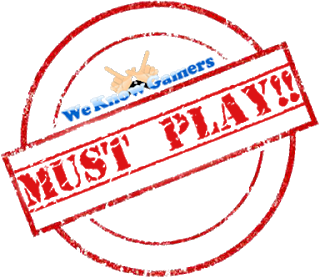 Plus, there are so many new and interesting ways of taking out your targets, you'll find yourself spoilt for choice and in some cases you won't even need to deal with your hits personally. Have you ever wanted to dress up as a flamingo mascot, taking on a photoshoot in front of a crowd of people before strangling your target in the same said costume? Have you ever wanted to dress up as a cupcake baker to deliver poisoned muffins to a nasty old man? How about a cultist, carrying out a ritual in front of a crowd of snooty onlookers? That's all here and more, providing what I'd describe as one of the best experiences the Hitman series has to offer. The final level is like trying to penetrate a heavily armed fortress. The difficulty is not something to be laughed at and will undoubtedly give you a huge sense of satisfaction when tackling the game on Master difficulty (suit only - you know you want to). Like the previous game, there are a number of easter eggs and silly escape routes to find and utilise within each level. If you were looking for some training beforehand, IO have used the same training levels from the previous Hitman, only with Hitman 2's new features. Some might call this lazy, but I'm really okay with it, seeing as it's a very functional way to train players up before taking on their main objectives. Adding to this, you can now silently take out non-targets with the new tranquilizer gun, which serves only to expand 47's ever-increasing arsenal. The last change I'd like to mention, though only subtle, is that any doors you exit will now remain unlocked, meaning you can move about freely without the worry of accidentally locking yourself out. This was something that always seemed a little silly to me in the previous title of 2016. 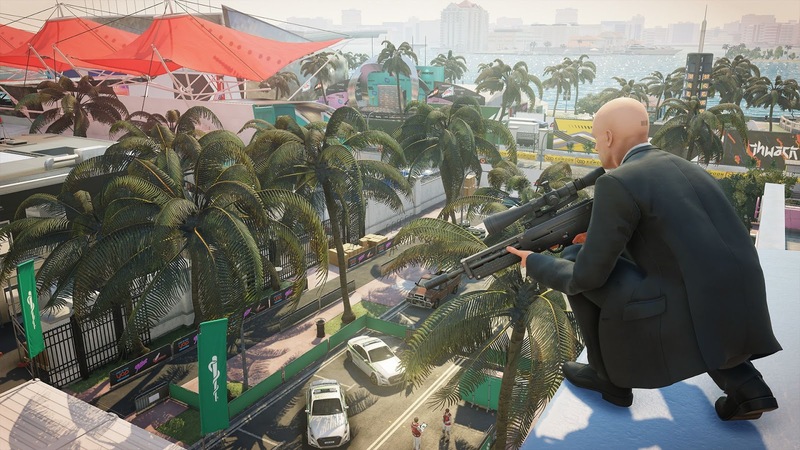 As mentioned above, Hitman 2 has received a number of upgrades which now feature crowd blending (which works similarly to that of the earlier Assassins Creed titles), picture in picture, the returning sniper briefcase and much improved AI system. Enemies are also now aware of your reflection, making life a little more difficult for 47, but at the same time, a lot more believable. Picture in picture is a handy mechanic that allows you to see certain actions of your targets and other living obstacles in real time. It'll show you when a body is found and when your primary targets are carrying out specific actions, also completely removing the need to hang around to watch your orchestrated kills take place, instead showing their death within this new window as you're presumably on your way to the nearest exit for that ever elusive Silent Assassin rank. If you own either the complete first season of Hitman or the Legacy Pack, you'll be happy to know these missions have received a massive overhaul and feature all of the system upgrades of Hitman 2, giving you a reason to re-play all previous missions, and best of all this has been included for free, as a thankyou for your previous support. If you're a dedicated fan of the series, this is great news for you, and something I hope to see other developers include going forward. IO really seem to care about their community, which is something of a rarity these days. 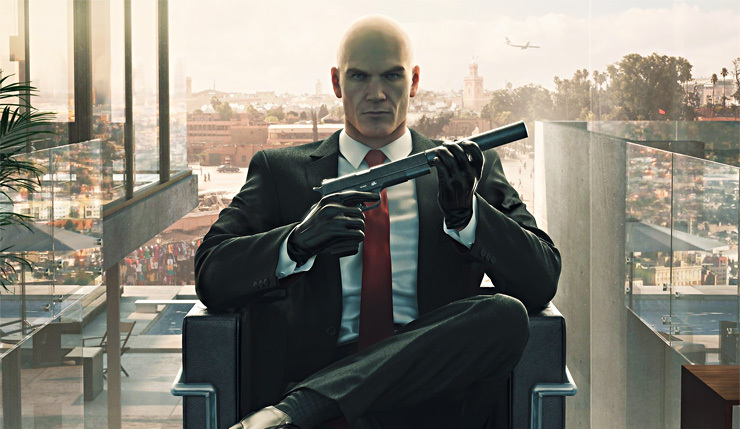 Many of you have undoubtedly heard by now, but those of you who purchased Hitman 2 on/shortly after release should be familiar with the Mark Faba elusive contract. Playing out as a rather entertaining way to kill Sean Bean (aka Mark Faba), players around the globe were given one chance to take this man out in what I'd describe as the most entertaining elusive contract to date. The contract has since ended, but in completing it, players were rewarded with the exploding pen - an iconic device familiar to Goldeneye fans everywhere. In addition to the main story, there are several extra gameplay features that add a considerable amount of replayability to what I'd describe as the best Hitman title yet. These are Sniper Assassin mode and Ghost mode. Ghost mode - This mode adds a lot of fun to an already great game. Though incredibly functional, this is in Beta format as IO are still currently working on it. The idea is there are two agents trying to kill the same target, only anything a player does in their own world has no effect on the other players world. It's simply a case of who can hit their target first. There are of course rules to this type of game, but they're simple enough - 1. Kill your target without being seen to gain a point. 2. If your opponent kills the target, you have 20 seconds to also kill the target, else you'll miss your opportunity. 3. The player with the most points wins. In typical Hitman fashion, you may kill your target in any way you see fit, and there are a number of crates that pop up for you to loot along the way, granting you access to a number of useful tools for each hit. Of the two modes, I found Ghost mode to be the most enjoyable and though I came close to losing a couple of times, I won every game I played. It's certainly a satisfying experience, but I'll tell you now - finding a game where the other player doesn't quit out early (once they know they can't win) is a little difficult. You're still awarded the experience you obtained up to the point the other player left, but you seem to receive more for a completed run, making it a little difficult to obtain the full rewards for a completed run. This somewhat cheapens the mode, but it really just comes down to bad sport, and having not left a game myself, it's hard to tell if the offending players are punished in any way. "Welcome to December in HITMAN 2 – a month full of content that will give you new challenges and new rewards. Each week, you’ll be able to play something fresh and new, including a holiday surprise! Here’s a full look at everything that’s coming your way in December!" Overall, Hitman 2 is one of the best titles the series has to offer, if not the best. There are so many satisfying ways to take out your targets this time around that you'll always have a reason to come back for more. The soundtrack is fitting, the graphics are the best to date, and with player assigned contracts still included, along with the new multiplayer Ghost mode and constant dev support, you'll want to keep Hitman 2 in your possession for a long time coming. 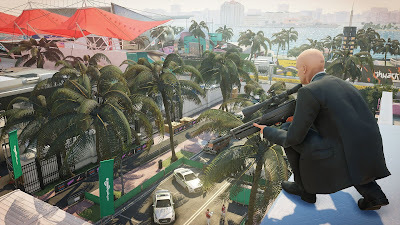 The new gameplay features serve to spice things up and with a dedicated roadmap of free future content, if Hitman 2 isn't at the top of your Christmas wish list already, it should be and you never know, maybe we'll even get to assassinate Santas pesky little Elves come December 18th. Don't worry though - If previous content is anything to go by, you'll have a two week window to accomplish this!